If you and your students are still getting started with Wixie, you can find lots of simple holiday-related activities in the Month-by-Month library. To access these activities and assign them to your students, log in to your teacher account, click the Activities tab, open the Tech4Learning folder, and open the Month-by-Month folder. The October sub-folder has activities for Halloween, of course, but also for Columbus Day and Fall writing. The fall-themed haiku activity in this folder is perfect for National Poetry Day, which is usually the first or second Thursday of the month in the United Kingdom. You can use the haiku poetry form to help students become both concise and precise with their vocabulary. The kigo, season word, requirement of a haiku makes it especially timely for fall. 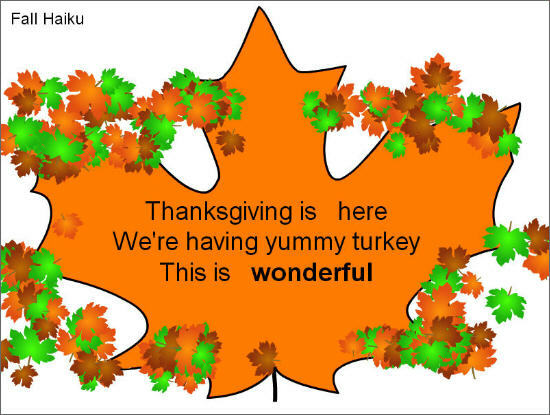 This sample shows a Thanksgiving-themed poem, which is a national holiday in Canada on the second Monday of October. Now may be the perfect time to cement a cross-border connection between classrooms as students explore similarities and differences in Thanksgiving celebrations in both the US and Canada. You can find even more activities connected to October at the Trading Post. If you visit early in October, the home page shows a few of the fun ideas shared by other Wixie-using educators. You won't need to log in to access the activities listed on the home page, but logging in will give you access to many more ideas. The topsoil activity on the Trading Post might also help your students make connections during Earth Science Week. If that doesn't whet your appetite, explore these other 22 Ideas for Earth Science Week! The entire Month of October is National Book Month, giving you the perfect excuse to engage in even more reading. Start off young students with comprehension activities using a Wixie Sentence Strip or Parts of a Story activity, or by extending or adapting your favorite story to "take retelling to the next level." Add in writing and creating by asking students to write Book Reviews (CCSS.ELA-LITERACY.W.1.1) and create Book Trailers for their favorite stories. While specialty days certainly don't drive instruction, they often provide a great excuse to engage students in new ideas and activities. Here are just a few ideas to get you started! 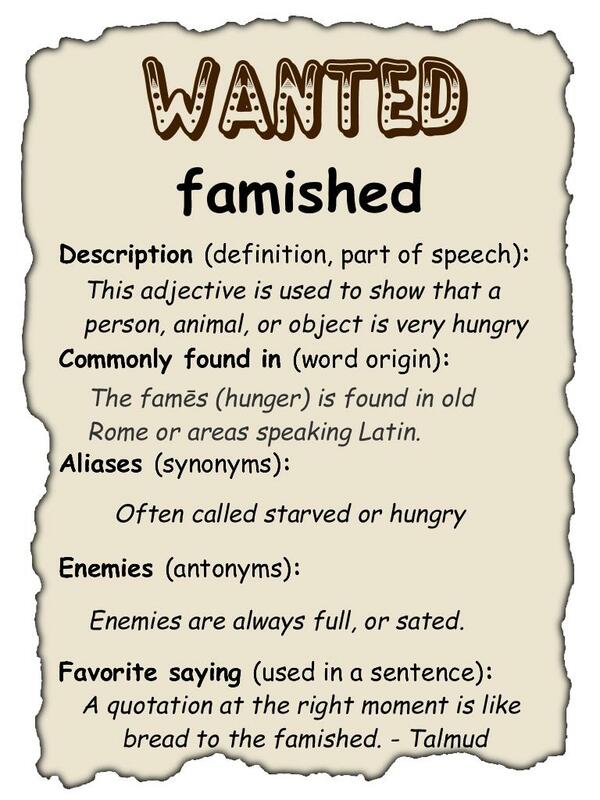 National Dictionary Day (16th) - create a Wanted Poster or trading card to teach others about your favorite word! National Reptile Awareness Day (21st) - research more about these amazing animals and create your own age-level appropriate informational text resources for them. International Artists Day (25th) - explore a new artist and have your students create artwork in their style! Specialty days can provide an excuse for teachers to try new things too. ISTE hosted a Flip Your Classroom Day on October 6th in 2015. If you haven't tried this approach to student learning, explore how educator Alison Doubet uses Wixie to support an "In-Class Flip" with her first-graders. If you have tried it before, take a step even further, by putting student's in charge. Tech4Learning's Danielle Abernethy shares how in her article "A Student's Turn to Flip." No matter what you choose, make October a making month!